Audrey injured her back due to poor sitting habits while at the computer. After physical therapy, she learned how to prevent back problems. I have suffered from back pain my entire life. I have had three spinal epidurals Then, being low in vitamin D, I have suffered two spinal compression fractures. The most recent fracture appeared a few weeks ago. Hoping to avoid surgery, my doctor sent me to Physical Therapy. It was one of the best things that ever happened to me. I am grateful for my improvement and what I have learned through extensive therapy and a lot of hard physical work on my part. I hope to help all of you and especially my fellow writers who sit for long periods of time at the computer. We are ruining our backs which leads to other problems because of incorrect, bad posture. It Used to be "Stand up Straight!" Today, it's "Sit Up Straight". I hated hearing "stand up straight" while I was growing up. For one thing, to "stand up straight and look at me", usually meant I was about to be scolded or punished. Those words were a message within a message. It usually meant that I was in trouble. I rarely heard the command to "sit up straight" unless I sang soprano in the school choir. Computers were not around in the 60's and 70's so sitting in one position day and night was unheard of. In the military, men and women are taught to stand up straight, chest out, etc. as a sign of respect. So, for some of us, good posture takes on a bit of a negative feeling. We prefer to relax. "Don't slouch!" is yet another order that especially teens rebel from. Few of us were taught good posture in a positive and understanding approach. And the association between good posture and back trouble hardly existed. With the invention of the personal computer came back trouble. Sitting at the computer invites a whole new set of back and neck problems. However, we can avoid these problems with a few pointers. So, Here's the scoop on how to save your back while sitting at the computer. When we practice good posture, it helps in maintaining these natural curves. When we forget good posture, the opposite happens - with poor posture we can pull a muscle which causes pain. Prevents a backache and muscular pain. 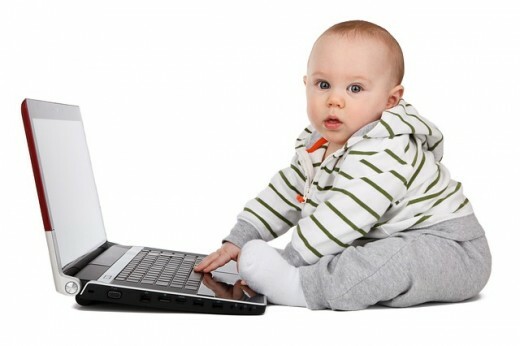 When you first begin to make definite changes in the way you sit at the computer, you will not feel as relaxed as you normally do, and this is normal. Your body isn't used to the new changes you're making. Keep in mind that your goal is to keep your spine straight (except for the natural lower curve). To do this, you may need to put a small pillow at your back. You can also roll up a towel, placing it in the needed area. 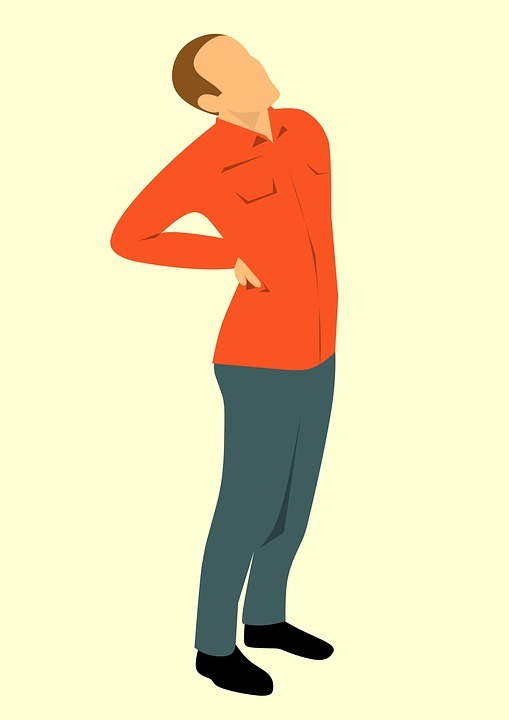 "Deviations in the body's center of gravity caused poor posture, which resulted in intestinal problems, hemorrhoids, varicose veins, osteoporosis, hip and foot deformities, poor health, decreased quality of life, and a shortened life span." The above statement clearly states what can happen to the body when correct posture is not maintained. When sitting or standing, make a conscious habit of "pulling in" the stomach as a way to raise the thoracic area (chest). If your stomach muscles are weak, you will feel a little muscle ache after you repeat this action a number of times. Check your neck when sitting at the computer. Your ears should be directly above the shoulders. Avoid what is known as "forward neck", as this causes stiff neck and neck pain. Be sure to do a few head rolls, and if this makes you dizzy, turn your head from side to side to keep it flexible. another good stretch is to lower your chin to your chest - slowly and then tilt the head back. Refrain from sitting more than 20 minutes at the computer and take a 10-20 minute break. Your body loves to be stretched. I try to stretch 3-4 times a day, followed by a nice cold glass of water. Your mind also appreciates a break now and then. Giving it a short rest from the computer will bring you clarity and focus. As you begin creating better posture, you are creating a better you. Begin with baby steps. Don't forget to thank your body for the service it gives you. Treat it well. Nourish it, love it, and humor it. When your abdominal muscles are strong, these muscles act as a girdle for your back. A well-tone tummy isn't just for looks, it's also about keeping your back in good working order Tighter abs equal a stronger back. The following video is an easy 2-minute ab workout. "Spending many hours sitting each day is related to raised mortality and CVD risk regardless of total physical activity. Inflammatory and metabolic risk factors partly explain this relationship." CVD is an abbreviation for Cardiovascular disease, also called heart disease. Pull in those abdominal muscles while sitting. The stronger your core is, the less back pain you'll have. Do exercises to strengthen the muscles that support your back. Besides your abdominal muscles, include exercises to strengthen your pelvic area, hips, and back. 87% of young people have back pain. The other 13% have no computer. 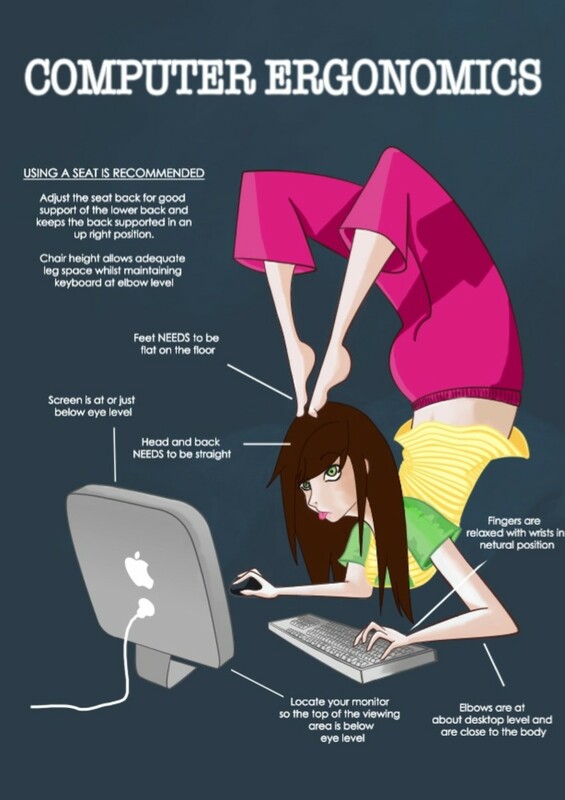 Do You Concentrate on Your Sitting Position While at the Computer? I do the same thing. A small pillow at my back helps me to sit up straight too. Thanks for being here and good back health to you. This is good to know Audrey. I seat in a cushioned ergonomical chair and sometimes put a pillow behind my back. It helps me tremendously when I'm feeling the pain. My back and neck are telling me you wrote this one for me. It's probably my chair, but I seem to be achy all the time lately. Thanks for making the connection for me: poor posture = back ache. A very helpful hub! Hey, vocalcoach, you did a good job with this. Did you know I wrote a hub a couple of months ago called "Your Posture,Of All Things"? I hope you get a chance to read it some time. Back care is the most versatile subject to write about because there is so much you can do to prevent problems, and if there are problems, the care and consciousness of one's posture, can be so tedious. Take care and I hope you have no back problems ever! My son is so addicted with computer games, that he forgot he's lunch. And he makes a bad habit, he's bad sitting posture. May this will be a guide to him. I've been struggling with my posture for years! This was very helpful! I used to have a problem with my posture until my grandmother made me practice walking with books on my head. (True story!) I know people think this is an old wives' tale, but our grandmothers lived in another world. Loved this wonderful hub. Fabulous hub vocalcoach! Especially as the years fly by, it is more important than ever to pay attention to our posture and make it a habit! Filled with useful information, rated up!!!! I forget about my posture. 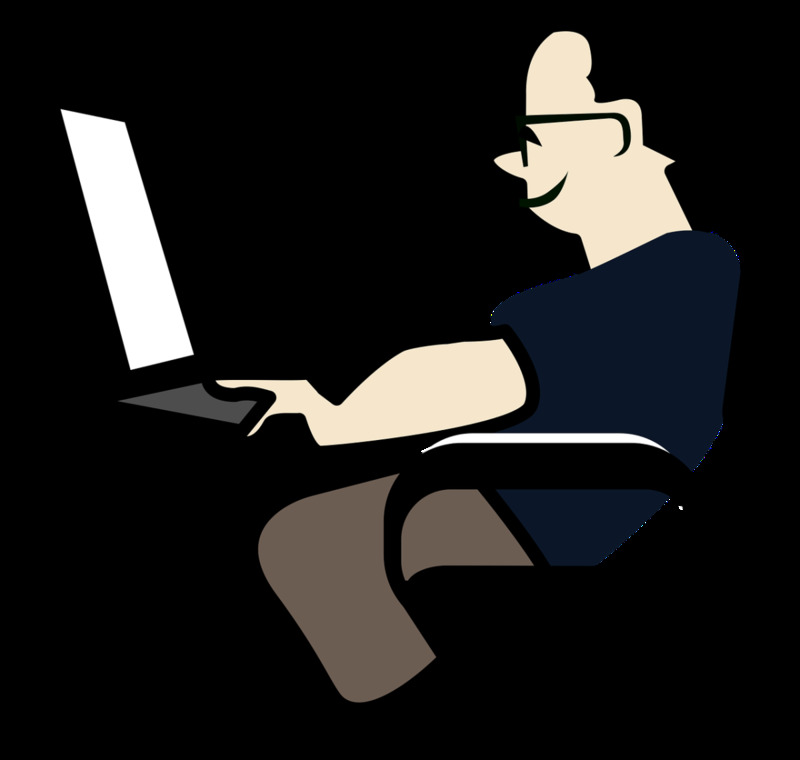 I try to sit up straight when I’m driving or sitting at the computer, and it lasts about a week, and then I’m back slouching again. I must remember to revisit this hub for encouragement. I had to chuckle at the diagrams of the incorrect postures I am guilty of every single one of them. Looks like I will have to develop a little discipline in this area of my life as well. Very well written and great advices! Rated up. USEFUL & Voted UP, vocalcoach~~ we all need a reminder on the benefits of good posture... the pictures and references are great...thank you! This is a very useful Hub. Well chosen, informative and beneficial to those that can heed the advice. 'Don't slouch' I say it many times a day to my son, he hates :) me for it, now I am going to have him read this hub. :) I suffer a bit due to years of practicing bad posture, now that I have understood this, I tell others. Thanks for sharing, useful hub!! Thank's for sharing. God bless.